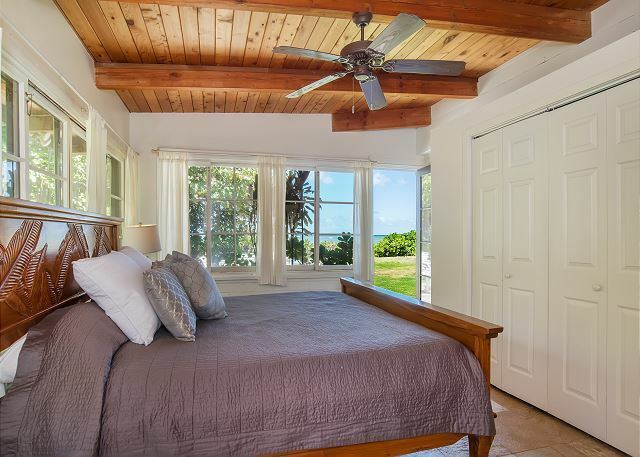 Banyan Beachfront Estate is comprised of four light filled homes surrounding a lush pool oasis. 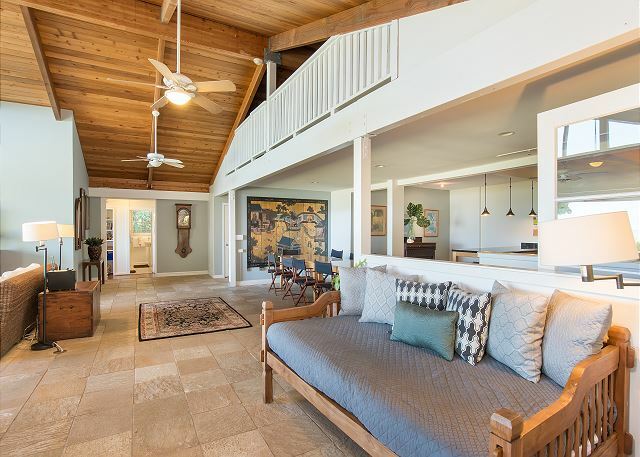 With a total of 10 bedrooms and sleeping accommodations for up to 25 guests, the estate is perfect for large groups of family and friends, reunions, and corporate retreats. 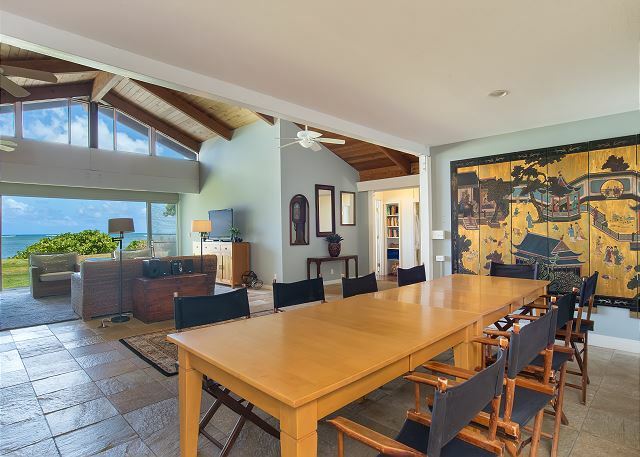 For very large groups we can also offer the neighboring property, Mango Hale, to accommodate up to 14 additional people. 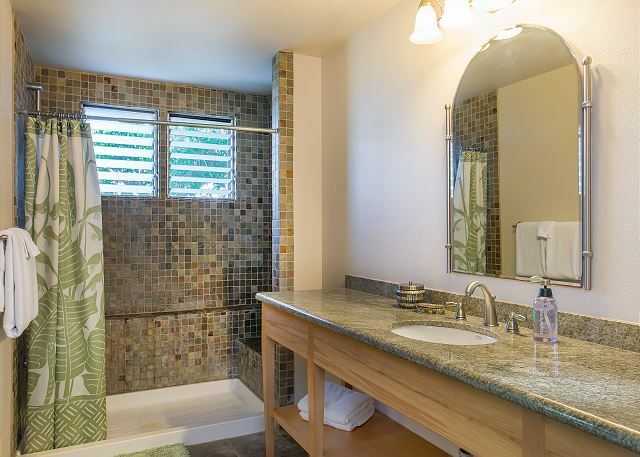 Located in an ideal Honolulu location, you will find yourselves close to all the best beaches and famous attractions Oahu has to offer. 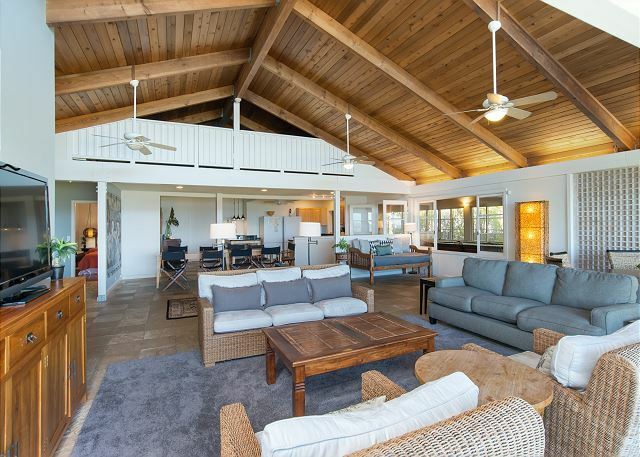 The spacious main house contains 5 bedrooms and spans the entire oceanfront portion of the property. 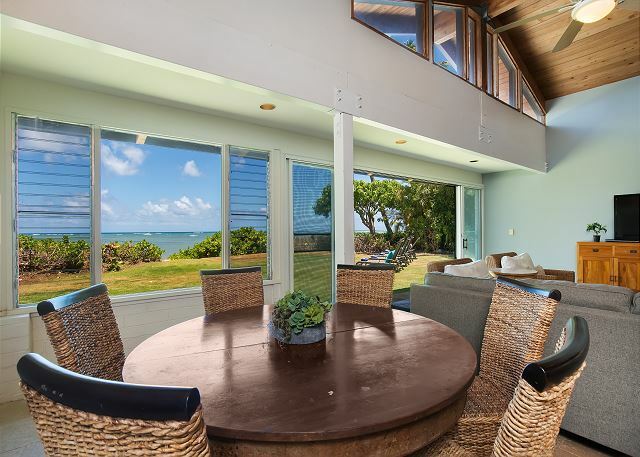 The open concept living room, dining and kitchen areas are a sunny gathering space with incredible views via a wall of sliding glass doors, which can be opened completely to let in the sea breeze. 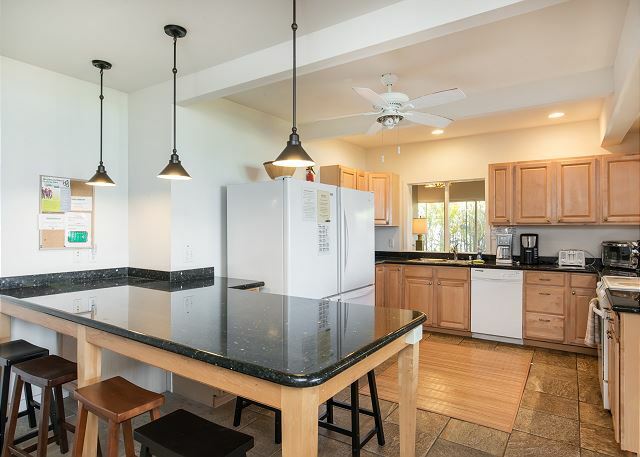 There is plenty of seating for everyone at meals, and you will find the two refrigerators a helpful amenity for your group. 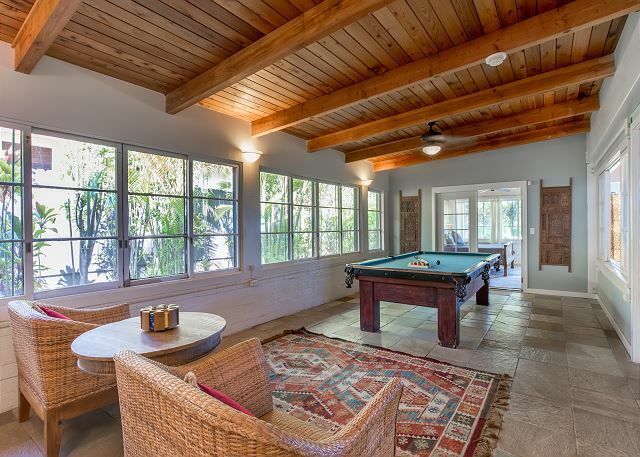 There is a big gas grill ready to cook up the days catch ocean side, and a pool table is set up for after dinner fun. Three additional homes are located behind the main house, surrounding the pool area. 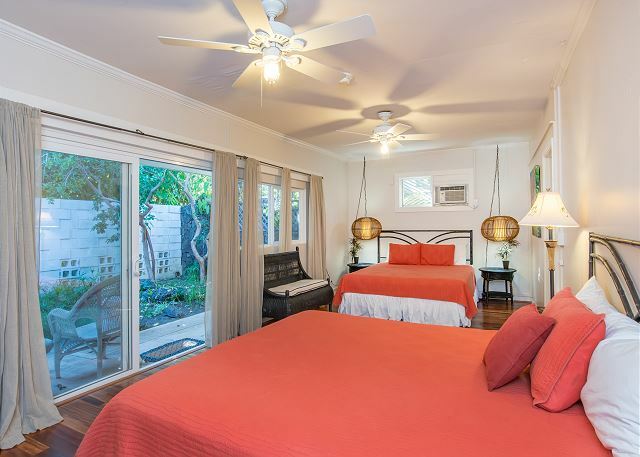 The Red Ginger is a charming and bright studio with a full kitchen and bath; Garden Cottage has two bedrooms and two full bathrooms, and overlooks the massive, stunning Banyan tree; the Cabana sits poolside with two bedrooms and two bathroom, one full and the other a fun outdoor shower. 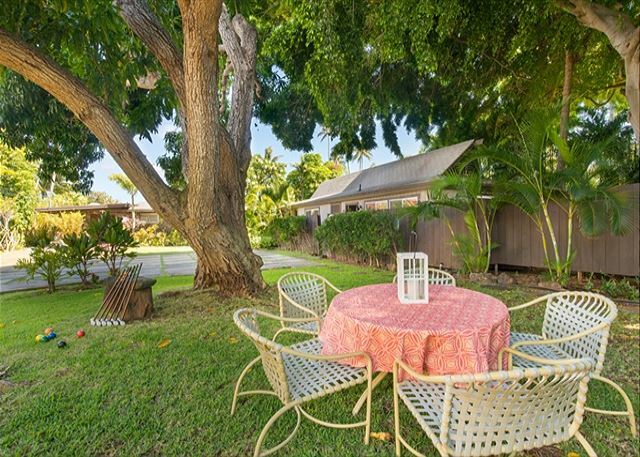 Each home has its own fenced yard, giving all guests on property their own private areas to relax in. In addition, each home on the estate has internet access, a washer and dryer and grill. The location is unbeatable! 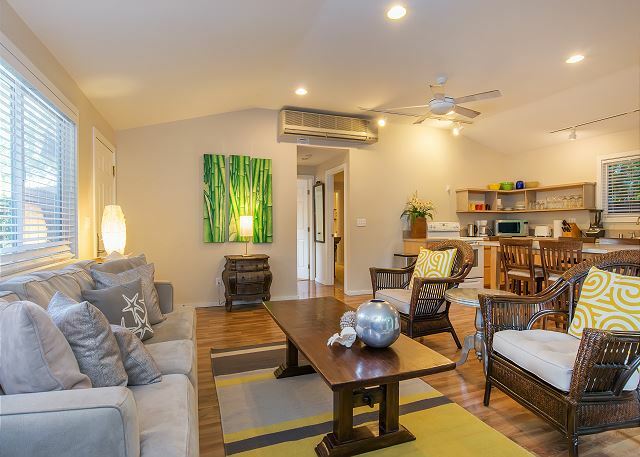 Waikiki is 4 miles away, Diamond Head 3 miles, and Kahala Mall - a convenient marketplace with loads of local boutiques and restaurants, a drugstore, and Whole Foods - is just 1 mile down the road. 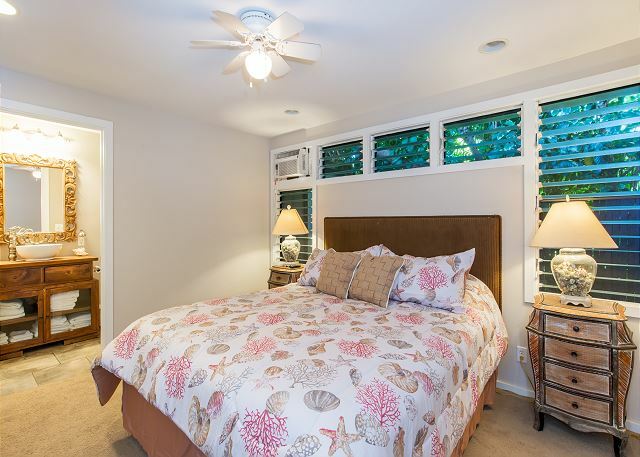 The home is 10 minutes from the exceptional snorkeling at Hanauma Bay, and just past the bay is one of the most beautiful coastal drives on island, which is dotted with stunning beaches. There are two excellent golf courses nearby, as well as extraordinary trails for both beginning and advanced hikers. 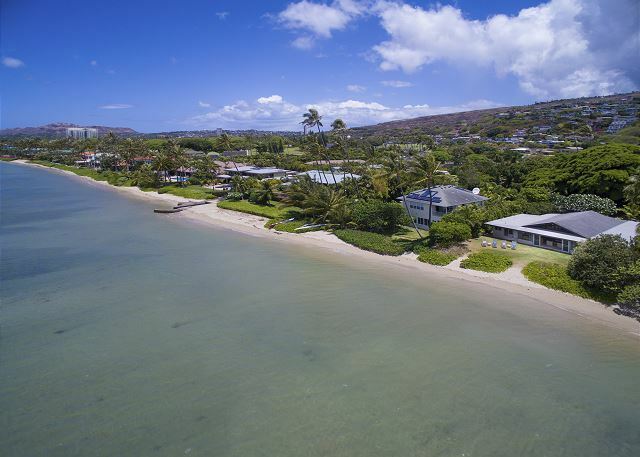 The airport is 12 miles from the house, Pearl Harbor 29 miles, and the world famous beaches of North Shore 36 miles away. 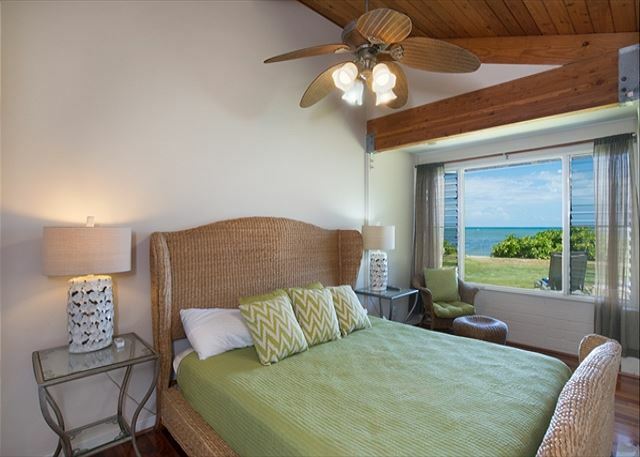 We rented all 4 of the homes within the Beachfront Banyan Estate and had a great time. Each of the individual cabanas has its own kitchen and bathrooms and were all centered around a large pool. We spent the majority of our time in the main house, mostly because the ocean was SO close. The only thing i will say is one of the master bedrooms in the main house was not particularly clean when we got there- we changed the sheets and cleaned the nightstands. Otherwise, our stay was great! 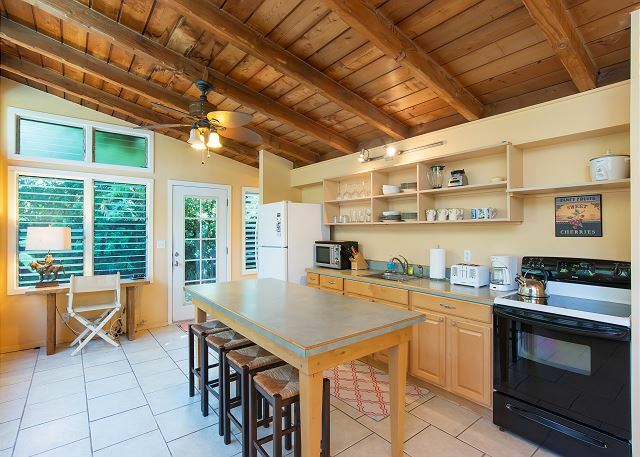 A perfect space for multiple families at an awesome price. Manager Response: Thank for your taking the time to review, Watts Family! Mahalo for staying with us, we are so happy you enjoyed yourselves. 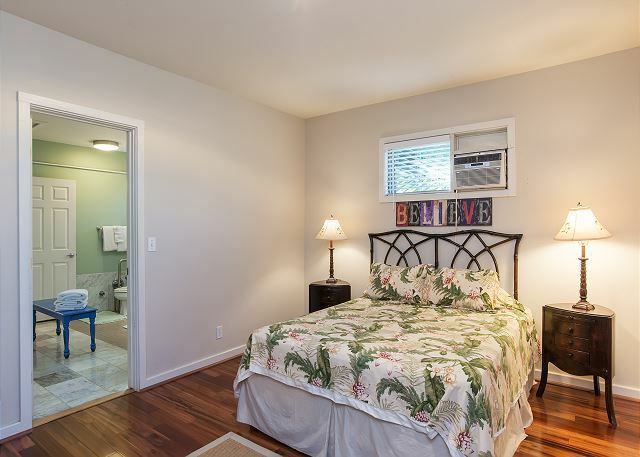 We apologize if the master bedroom was not cleaned properly, and have discussed with the cleaning staff. If a complaint such as this is received in the office we will immediately send a crew back to quickly remedy the situation. 20 family members travelled from Australia to Hawaii. We are a family of 8 couples and 4 singles, all adults. We found the location and accommodation perfect for our needs. The sleeping set up was great for privacy and comfort. We used all 4 units. 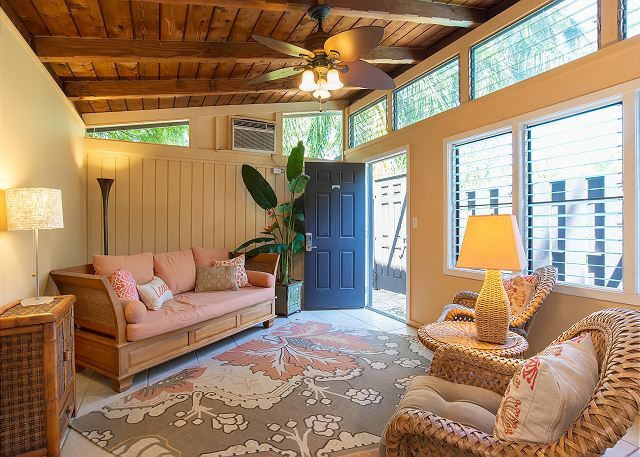 The Banyan house was spacious and well equipped for all of us to meet, drink and eat. However the whole place is tired and needs some attention. A few examples are the linen is old and worn. One of us put her foot through a sheet it was so thin. The pool table has 4 cues, three have no tips just bare wood and the other a cheap rubber tip. There were buckets in a bedroom and bath room to catch rain water. The owner was made aware of this situation but no attempt to fix while we were there. Some money needs to be spent to bring the place what it could be. We had a wonderful nine days and have no regrets with our choice to stay there. This place is breathtaking. We rented out all four houses for wedding guests and had the most amazing time. Our guests thoroughly enjoyed everything from the amazing private beach backyard to the swimming pool surrounded by tropical plants! 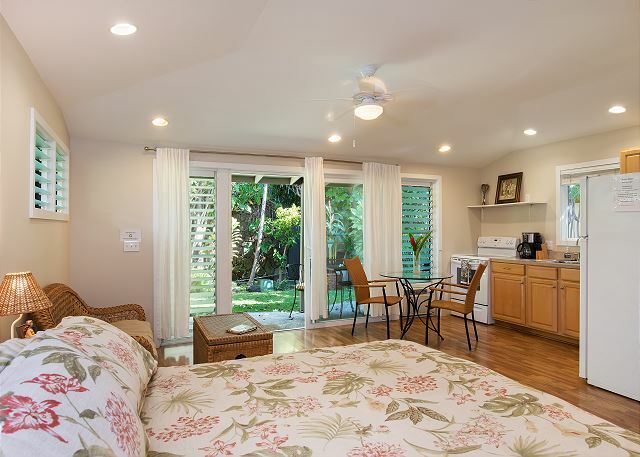 The rooms were all very clean, spacious and comfortable as well, and the Hawaiian Beach Homes staff were lovely to deal with. It was one of the best vacations of my life! The location is as described. Close to shopping and Waikiki. Getting to locations around the island was easily done. The property itself could use some TLC and repairs. The main house had sliding doors that didn't work well or were stuck in place so that they could not be closed properly. A chair in the main house broke upon a child taking a seat. Cleaning of the main house could have been better. The Red Ginger Studio was nice the only exception was the ceiling fans, lighting and the coffee maker did not work. 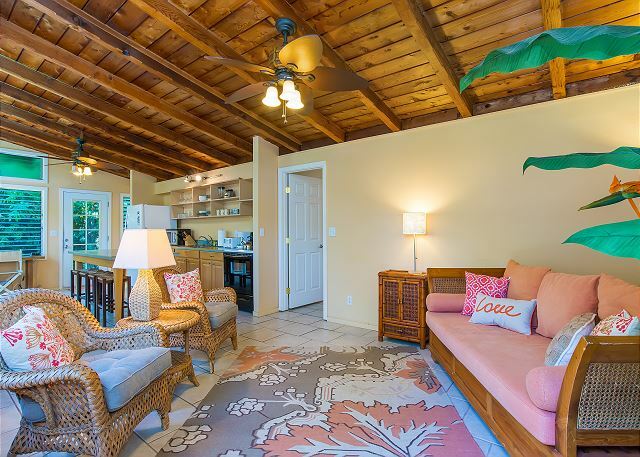 The Cabana had a great layout and was pretty clean upon entering, the issue with that structure was that the AC went out 2 days into the stay, one of the toilets was leaking and the tub was moldy. 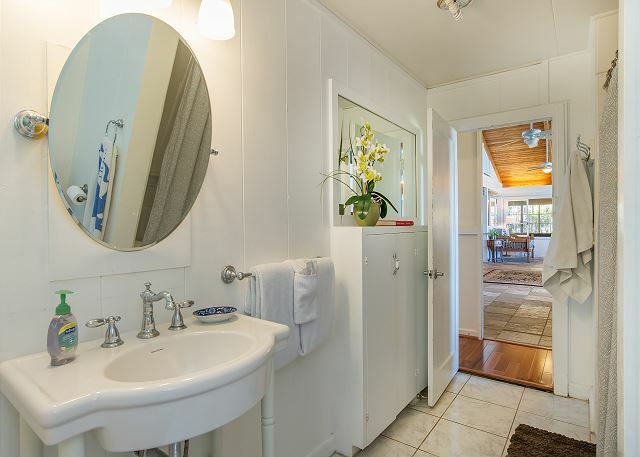 The Garden Cottage was set up nicely, the Banyan tree in back was beautiful. Much like the other structures on the property some TLC to the home would be beneficial. The dishwasher in the unit was not working and the property did not have a coffee maker and the tubs were moldy. There was great access to the beach and a pool and hot tub to boot. The pool had loose tiles so some work should be done to repair them. Additionally although having a pool was great it really couldn't be used at night and during the weekend because of the noise restrictions and possibility of being charged additional monies if there were complaints. The lighting around the property did not work so walking around at night required some flashlights. The property could have been cleaned a little better, but my family is picky. We did have people entering the property and the buildings without notification during our stay and that was a bit disturbing. Lastly upon our arrival, since we had a group totaling 23 people we plan to meet at the property to find it and to determine where to head to and wait to check in since we were early. Upon driving up we were immediately told we couldn't be on the property until 3:00 and when we returned after 3:00 cleaning crews were still on-site. Manager Response: We have taken care of all maintenance items mentioned and much more: We are very sorry about the inconveniences experienced by the guests. This family was our last estate booking of the summer after our busiest season ever. Moving forward, we are blocking additional time between every booking to ensure that the estate is in top notch condition for our guests. 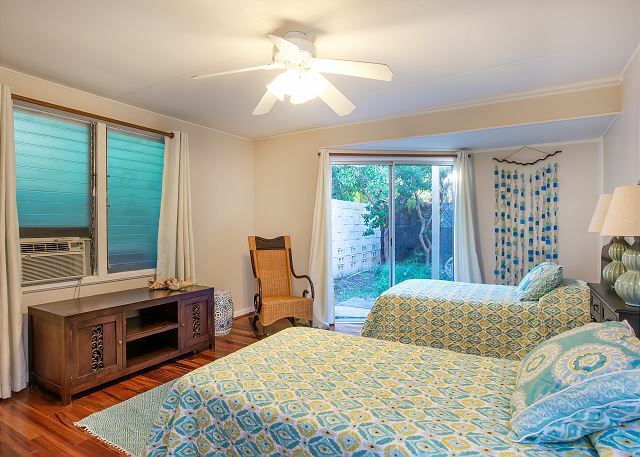 In addition to the maintenance items mentioned by these guests, we have repainted, planted new flower beds, put up new fencing, deep cleaned all homes including rugs and upholstery, and updated decor including pillows, curtains, etc. 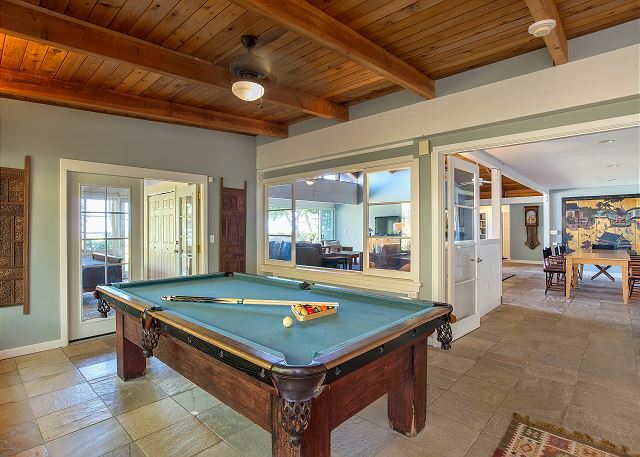 We are purchasing a new pool table, adding additional outdoor lighting, and changing the pool hours rules in order to make the estate more comfortable for all guests. Let's start with some of the issues we had. The biggest problem is the temperature in the living room of the main house. Even with all the doors/windows open and fans on, it can still get very hot. However, we understand how difficult it would be to cool a space this big. All the houses were fairly clean on our visit, but there were some maintenance issues around the property. The screen doors were difficult to maneuver, several of the dining chairs were in bad shape, missing parts to kitchen appliances, and poor/broken outside lighting (we used flashlights at night). The driveway off the highway could be challenging but we got used to it. Even though we rented the entire estate, we found visitors in the swimming pool saying they had access (management never communicated this). We had to ask them to leave as we had young children with us. With all that said, we had a wonderful time at the Beachfront Banyan Estate! 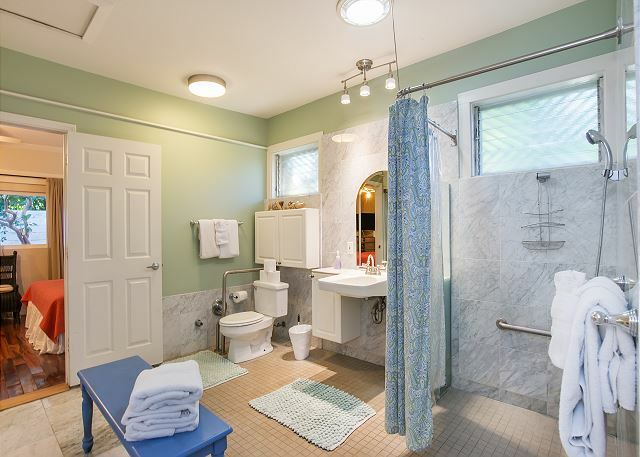 Being able to accommodate our entire family while maintaining privacy was priceless! 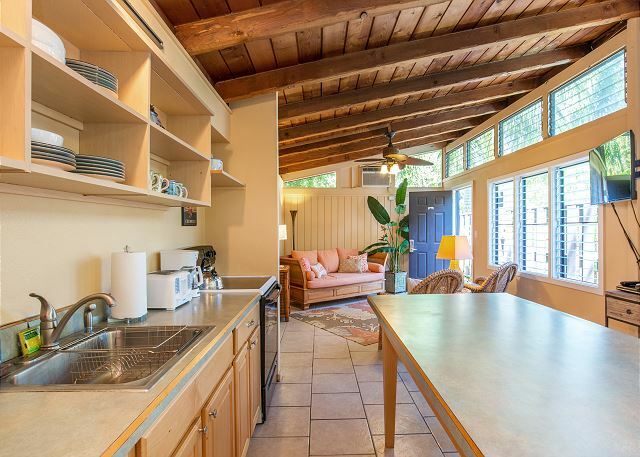 The property is huge with plenty of space for everyone. The location was perfect! Short drive to the airport and Waikiki. Near by our Wedding Ceremony and Reception locations, restaurants, grocery stores, and shops. We saved lots by shopping at Costco and cooking meals at the house. We ordered delivery for when we were tired from being in the water all day! The beach was shallow, but great for the kids. We rented paddleboards and had a blast! The swimming pool was beautiful, better than some hotel pools! The A/C in bedrooms, full kitchens, washer/dryers, extra towels, pool table, and leftover games were a huge plus as well! We stayed at the Beachfront Banyan Estate for a week with a large group for our family reunion. 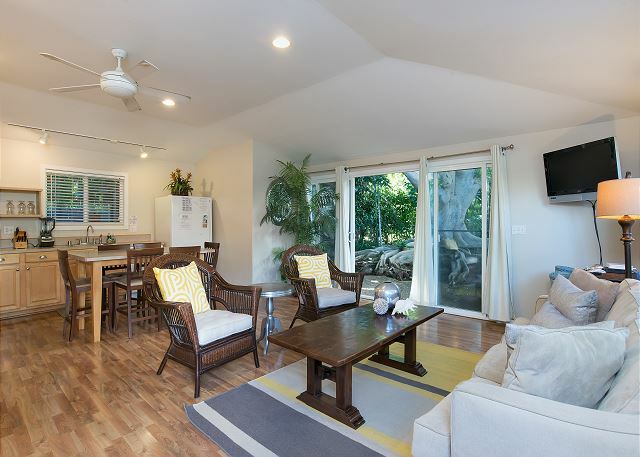 We had an enjoyable stay and absolutely loved the location- a great distance from Waikiki (not too busy, but not too far to miss out), and to have our own little beachfront in paradise was wonderful, especially with children. Our group spent most of the time between the beach, the pool and the garden and this estate was perfect for that. The property was a bit 'tired' in a few ways with some maintenance areas slipping- some washing machines not working, not enough glasses, knives and forks for a big group, drawers and doors that have clearly been repaired a few times still falling off. It's a bit older than it looks in some of the pictures. In terms of cleanliness, the houses were very tidy and thoroughly cleaned. When we arrived, one of our groups had to wait a few hours after normal check in time though as the house was still being cleaned- this was tricky after long flights. The bins were also completely full when we arrived so rubbish was also a challenge for us because of the size of our group. We'd love to come back, and hopefully the minor maintenance issues can be resolved. If you have a large group- consider booking in some food deliveries- because you won't want to leave the gorgeous beachside! It was a great experience. The Estate worked perfectly for the 21 of us--kids had a great time in the pool,the hot tub, and playing pool, snorkeling was near by, and the scenery is beautiful. Everyone had the privacy they needed and the group spaces worked well. Foodland was nearby too. Honolulu is a crazy town for driving--too many one-way streets and too many street name changes; also H1 ramps are not the same for on and off. The Estate could use some basic maintenance such as painting, but everything worked and there is a lot of room. This large estate was perfect for our family to spend much needed time together while being able to maintain our space and privacy. The beach is perfect for lounging and for the kids to play in. The hot tub was the best after a long day in the ocean.